Reformed indie rockers Idlewild are to play their only mainland UK festival date with an acoustic show at Purbeck Folk Festival in August. The Scottish band released their last album Post Electric Blues in 2009 and since then frontman Roddy Woomble has released two solo albums, while guitarist Rod Jones has released material under his own name and with his band The Birthday Suit, most recently the excellent A Hollow Hole Of Riches in March. Idlewild formed in 1995 and have released six studio albums to date including the breakthrough 100 Broken Windows (1999), The Remote Part (2002), which spawned the hit singles You Held The World In Your Arms and American English and Warnings/Promises (2005) with the top 20 single Love Steals Us From Loneliness. 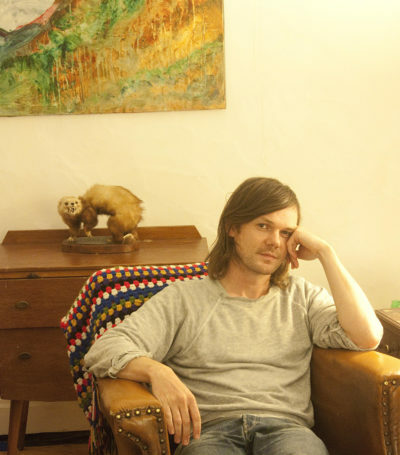 Singer Roddy Woomble released his first solo album My Secret Is My Silence in 2006. Produced by John McCusker and featuring Kate Rusby, Karine Polwart and his wife Ailidh Lennon, it topped the UK folk charts and was followed in 2008 by Before the Ruin, recorded with John McCusker and Kris Drever, featuring Radiohead drummer Phil Selway and Norman Blake of Teenage Fanclub. His third album, The Impossible Song & Other Songs (2011) has a sleeve drawn by Mairi Hedderwick, creator of Katie Morag, and his latest solo record, Listen to Keep, came out in March. Purbeck Folk Festival runs over the Bank Holiday weekend, 21-24 August, on a 600-acre sheep farm in the heart of the beautiful Isle of Purbeck. Having won the Fatea Music Award for Countryside Festival Of The Year, it offers four days of fine music, great food, fancy dress, art interventions, film and magic on Dorset’s stunning Jurassic Coastline. A firm favourite with young folks, families and old folkies alike, it also boasts a beer festival with 40 local real ales, 20 ciders and even a Dorset pils lager! Idlewild join previously announced headliners Turin Brakes, Lloyd Cole, Eddi Reader, The South, Nizlopi, Chris Wood and Emily Barker & the Red Clay Halo. Roddy, thanks for taking time out to field these questions … We’re thrilled to be able to welcome Idlewild to Purbeck Folk Festival and you’ve got a tour of the Highlands and Islands planned, what’s the idea behind playing unexpected venues? No grand plan really. We wanted to get out and about and do some gigs while we are working on our new record, to get back into singing the older songs and start trying out the new ones. I love the Highlands and Islands so any excuse to spend time there is fine by me. Purbeck is a place I’d never been to. It’s all worked out well. Why is now the right time for a new Idlewild adventure? It felt very natural to start working on an album. Five years is a good time away from anything. It was no more complicated than asking Rod if he fancied making a new and interesting Idlewild album. He did and that was the starting point. Over a year has passed since then and we are now about half way through recording, so it’s a good time to play some gigs. How did the Idlewild regrouping happen after five years of doing other things? Of course we all still kept in touch and saw each other, so it was just a question of organising some time to write songs. We always had a plan to make a new record, we just all needed a break from the cycle that we had gotten ourselves stuck into, which was bringing everyone down, and not helping the music. Like I say, we’ve been taking our time with it, producing it ourselves in Rod’s little studio, and also up in Mull. It’s more experimental than other Idlewild albums, shades of a country/folk influence, but largely quite noisy and guitar based. Good tunes throughout though. Will you approach the band in the same way as you did before, or are these older heads also wiser – I wonder if you’ll be wary of record company interventions for instance? To me it is a new thing now, which is what is exciting. Rod and I are still the driving force, creatively at least, but having new members (multi instrumentalist Lucci Rossi, and Andrew Mitchell on bass) has made it feel different and taken the songs to a new and interesting place. Sales-wise we will probably do almost everything ourselves. We are lucky to have plenty of fans so we will sell the record directly to them. There must have been some amazing experiences along the way, but if you had the time again would you do anything different? It was a shame that the band basically fell apart when we at our most popular, commercially at least (2002), but we were young and didn’t really know what we were doing, so no, it was all a part of the learning process. You and Rod have both said you’ll keep your other activities running alongside Idlewild, how will you know which is a solo song and which is an Idlewild song? I write my solo material generally with Sorren Maclean and Idlewild songs with Rod, so it’s quite easy to separate. 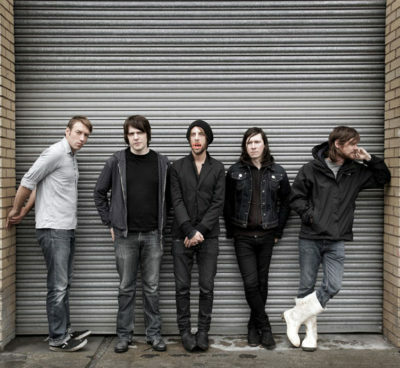 How does running a band that backs your solo work differ from fronting Idlewild? Good question. They feel very different from each other, to me anyway. I think you’re playing the festival as an acoustic set up without a drummer, how have you adapted older material to suit the line up? Playing acoustically is very natural to us as it is how our songs are written and developed. Colin Newton (drummer) won’t be with us for these shows, mainly because drums tend to force the songs into a place they don’t need to be, acoustically at least. They also make everything too loud! I play most of my solo band gigs without drums so it’s a line up that I’m used to – lots of space for the melodies, and a nice laid back feeling. Away from music what gets you up in the morning? What do you know of Purbeck? Not much, but there is a pub close by – the Square and Compass. I’ve always wanted to go there for a pint.